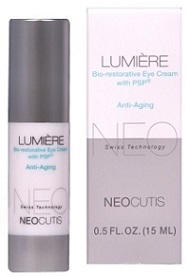 Neocutis Lumiere Bio-Restorative is an amazing eye cream that helps you deal with smoothing intensive lines, minimizes signs of aging, energizes, rejuvenates, and revitalize the skin around your eyes. 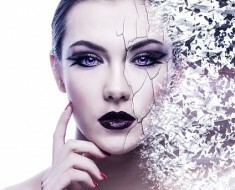 Skin around your eyes is very delicate, and requires special treatment. You can’t use your regular skin lotions or moisturizers, as they will cause irritation. They basically make your “cry”. 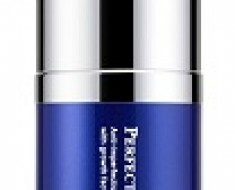 Neocutis designed this eye cream to fight and eliminate wrinkles with the help of 30% more PSP. PSP is a complete mixture of human growth factors, cytokines, and many other useful proteins, which smooth your skin, and reduce the appearance of wrinkles and fine lines. 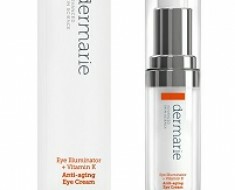 What makes this a good anti-aging eye cream is the fact that it is backed by clinical research. Clinical trials were conducted with the lumiere bio-restorative eye creams, and the results clearly showed that this eye cream significantly reduces the signs of aging and stressed skin after using for about six weeks. During the study, this product was used twice daily; once in the morning and once at night. Lumiere eye cream is trusted and recommended by dermatologists around the world. This is the most effective anti-wrinkle eye cream because it’s trustworthy and it works. Neocutis S.A was founded in 2003 and is based in Switzerland. It’s a spin-off from the medical school of the University Hospital of Lausanne, Switzerland. Now it’s a private bio-pharmaceutical company that focuses primarily on dermatology, skin care and wound healing. They have been around for quite some time, and have extensive knowledge of scar-less wound healing. This is just one of the reasons why their products are super-quality, and they work. 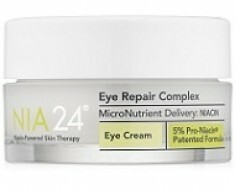 Listed below are some of the major features that set this anti-aging eye cream apart from the rest in the category. 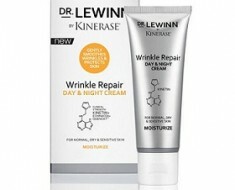 This is one of the top anti-wrinkle eye creams and is recommended by dermatologists around the world. People have noted that the cream costs a lot more when bought from a dermatologist or from beauty stores. Amazon always has the lowest price and this item is available on discount all year around. Have a look at what the buyers had to say about it. Some people get dark circles due to lack of sleep. Especially if you are a young mom, you know that getting eight hours of sleep is rare. Fortunately, Lumiere eye cream can help you get rid of those dark circles. 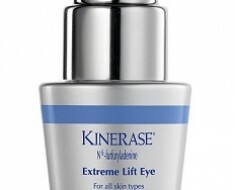 Lumiere is a top quality eye cream manufactured by a reputable company. It’s an all-in-one eye cream, that does that job very well. Lumiere bio-restorative eye cream contains good ingredient for our skin and it works! We definitely recommend this for you. This cream may be a little expensive for some, and the best price we have found is on Amazon. Click here to view the price on Amazon.